Since 1863 the Cliff House has been famous for fine food, excellent service, and unparalleled ocean views. There are very few special event venues that can offer historic charm dating back to the turn of the century. With the modern amenities added during the restoration of 2003 the Terrace Room is the perfect venue for every type of event. This amazing setting offers views of the famous Seal Rocks, the Marin coastline, the Pacific Ocean, and Ocean Beach. Your guests will be delighted by sightings of flocks of pelicans and seagulls as well as the occasional glimpse of seals, dolphins, or whales. Whether you are planning a wedding, a family celebration, or a corporate function, the world-famous Cliff House is the quintessential San Francisco experience. Our guests return year after year to celebrate memories that last a lifetime. The Terrace Room, with access to a private outdoor terrace, is the perfect location for wedding ceremonies and receptions; rehearsal dinners; family celebrations and all your special events. The beauty of a sunset to the west and misty Ocean Beach to the south can be viewed through floor-to-ceiling windows on two sides. 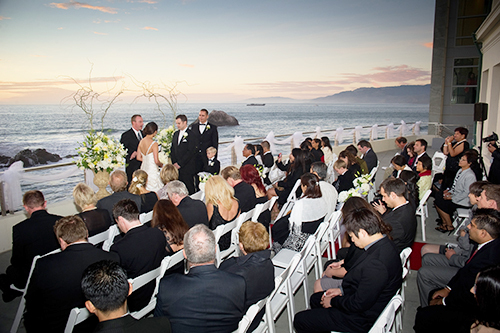 With the beach and Pacific Ocean as a backdrop, your ceremony on the private terrace will be truly unique. Our special event coordinator will work closely with you to plan your event and oversee every important detail so that you can relax and truly enjoy your special day. Our seasoned culinary team will help you choose a menu that pleases the eye as well as the palate. The Terrace Room can accommodate up to 120 people for a seated event or up to 150 people for a cocktail reception. The Terrace Room at the Cliff House is a unique San Francisco treasure where guests return year after year to celebrate their special events. 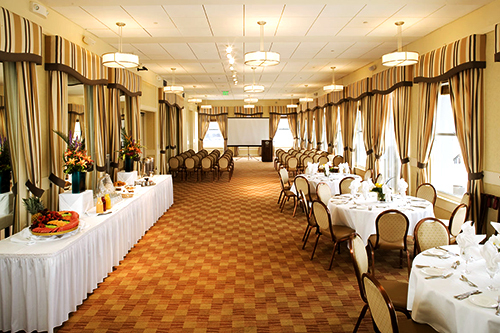 The Terrace Room at the Cliff House is an affordable option for businesses to host small business meetings. It is a meeting space like no other, offering unparalleled views from every angle. There is much to see including the famous Seal Rocks, Ocean Beach, and sweeping views of the Pacific Ocean. This amazing setting offers a unique opportunity to focus on key issues and inspire creativity and team building. Imagine an all-day meeting where attendees have access to a private outdoor terrace for fresh air and a fresh perspective. 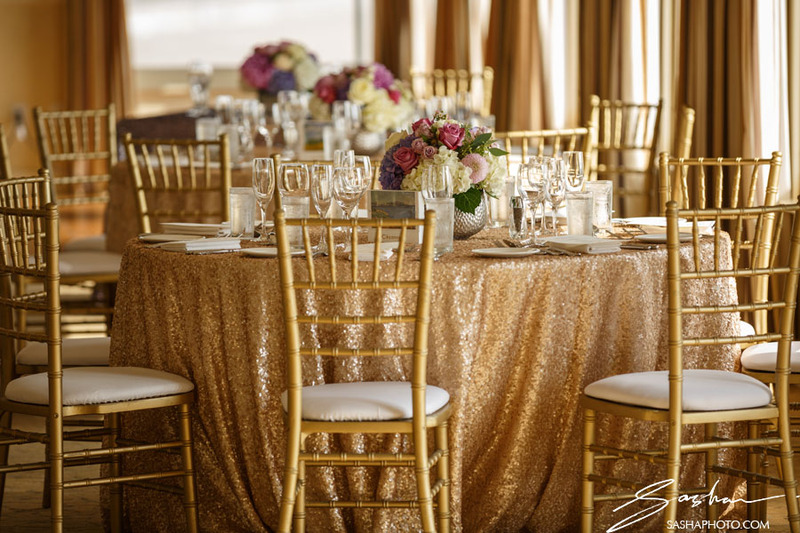 The Terrace Room special event coordinator will work closely with you to plan your event and the event staff will oversee every important detail. The Terrace Room can accommodate groups of 40 to 60 participants, providing packages that include continental breakfast, lunch, and beverage service throughout the day. Included with your package is access to the private terrace, a private bar, coat check, and restrooms. Whether you are planning a corporate function, entertaining important clients, or rewarding top performers, the world-famous Cliff House is the perfect location.